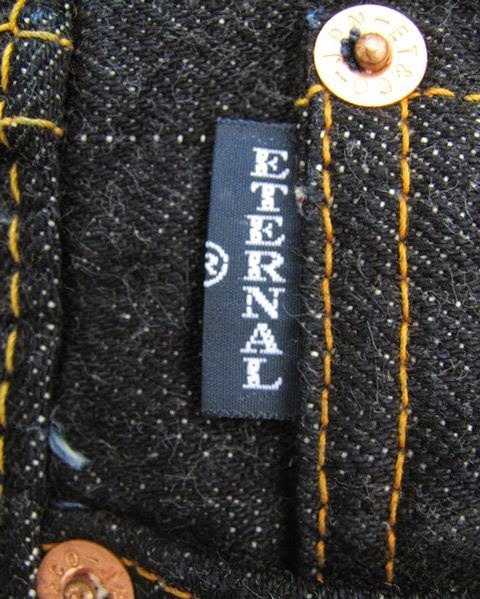 Eternal is a cult Japanese denim label from the city of Kurashiki of Okayama Prefecture. 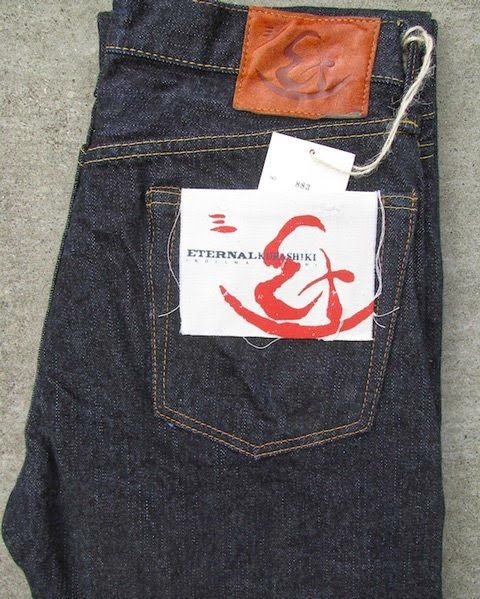 Eternal was established in 1997 by the Maeno Corporation as its premiere menswear collection label. 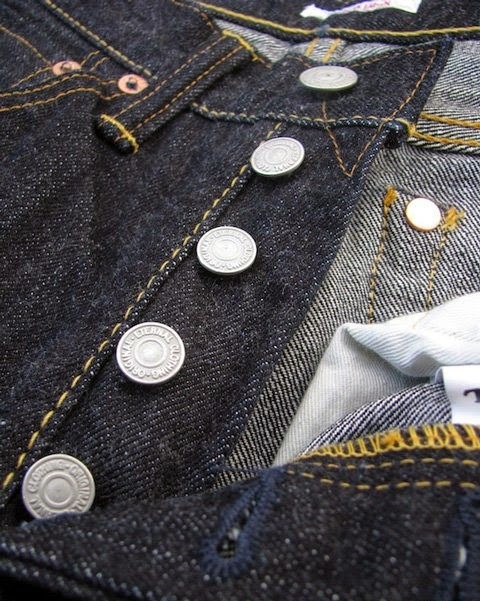 Since the 1940's, Maneo has produced quality casual wear and has won high respect for its artisanship including its detailed dying, washing, and sewing techniques. 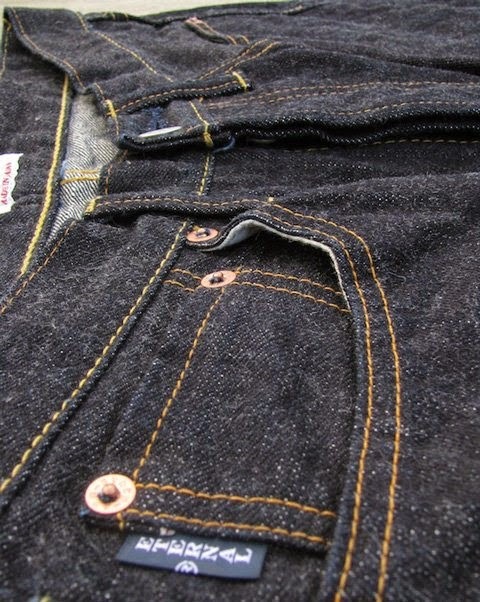 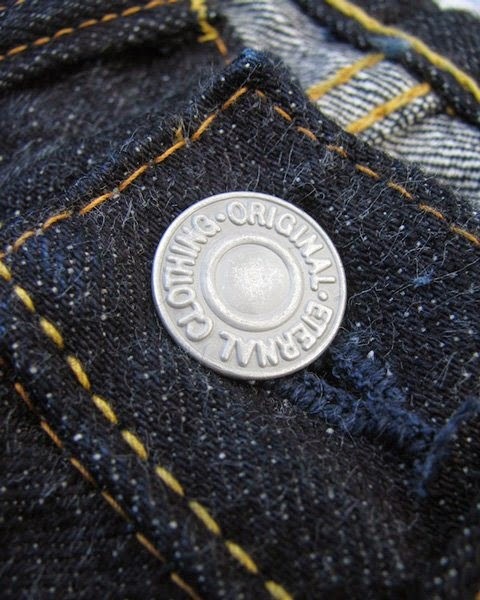 Eternal illustrates Maneo's highest level of craftsmanship passed down from generations of denim making. 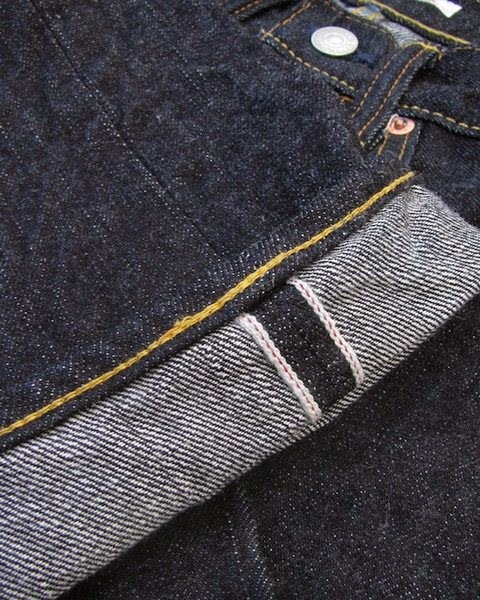 * The 883 is Eternal's signature tight straight denim that runs slim in the thigh and top block, has a low rise, and has a moderate taper throughout the leg with a slightly smaller leg opening compared with the 811. 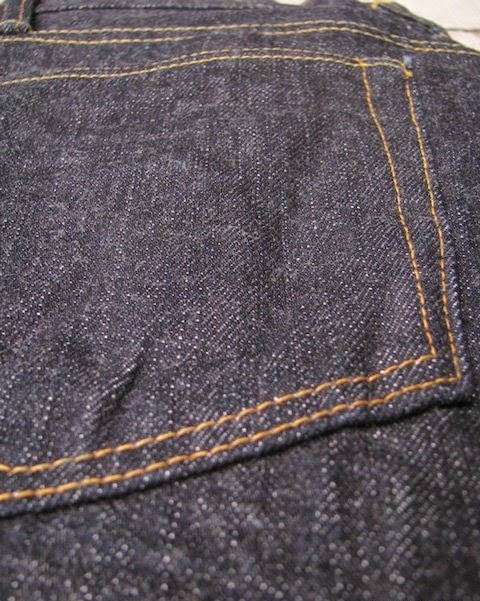 * The fabric is a 14.5oz selvedge which is woven at a low tension giving tremendous depth and irregularities to the surface texture, which also results in excellent vertical fading. 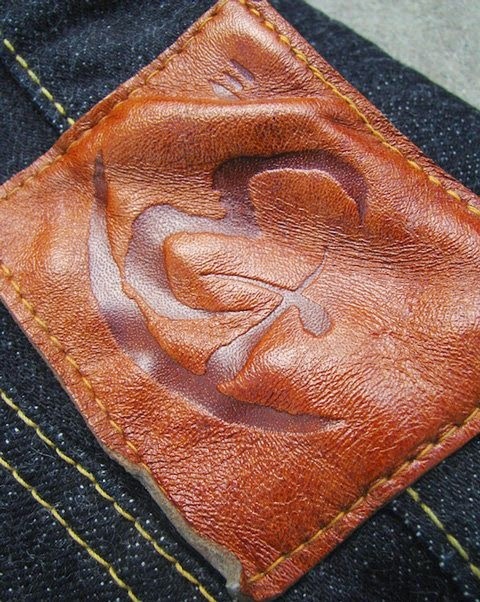 It has been soaked one time post production and hang dryed in the sun.